Busy weekends hiking and beaching mean a week of playing laundry catch-up. 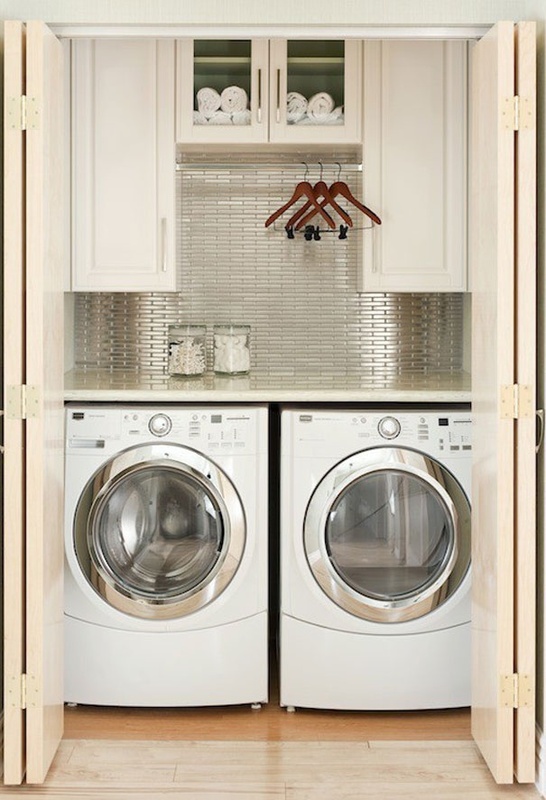 And while mountains for laundry definitely isn't pretty, laundry rooms certainly can be. 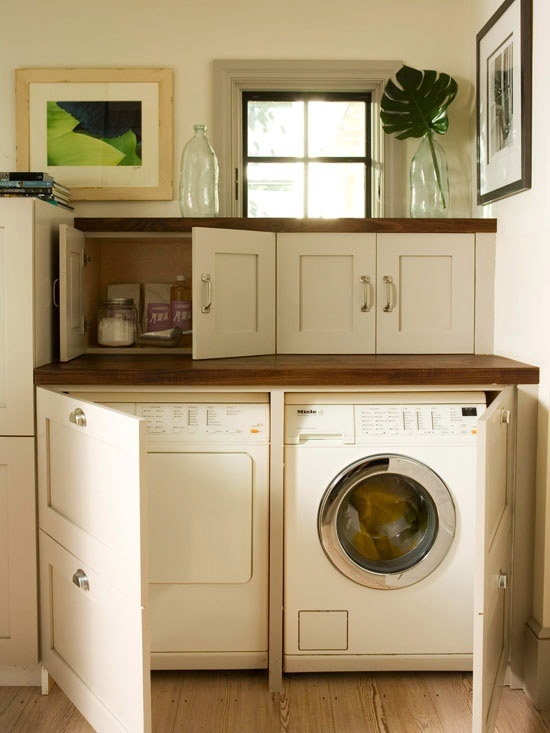 White and gleaming with a place for everything, these laundry rooms are totally and utterly lust-worthy, especially while you're waiting for that last batch to finish the spin cycle.